When you are out looking for new carpet for your home there is a lot that you will take into consideration. Most people are concerned about the color and the price as the top priority. The problem is that if you think about it in terms of you get what you pay for you may change your tune. Your carpet is something that you want to keep and have last for many years. This can happen if you take care of the carpet and clean and care for them often. 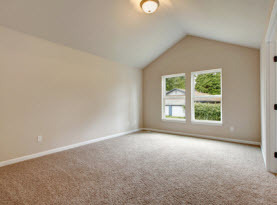 It also has a lot to do with the type of carpet that you choose. The carpet price has a lot to do with several aspects of the carpet. You want to make sure that you take into account these areas of the carpet and get the best you can if you want it to last. The carpet will last longer the better these areas are that include the twist, gauge and the resiliency. You need to be aware of what these are before making a decision. Carpet Twist: When your carpet is manufactured the carpet is piled on a backing where it is tied off with a textile. The yarn that is used can vary and that makes up some of what you are paying for. When you choose carpet you want to know what the twist is to understand how well it will hold up under pressure. The twist means how many times the yarn twists per inch. It can be anywhere from zero to even five. The more twists that the yarn has the longer it will last and the thicker the pile will be. If there is no twist at all the carpet may become packed down faster than you want. Carpet Gauge: The gauge of the carpet will tell you how many stitches of yarn there are in a single inch space. The sewing machine that is used to make the carpet has several needles that are set so that the right amount of yarn is used. The term will be given to you in a fraction. A common gauge that you may find is 1/8 which means that there are eight stitches that are placed in a single inch. The higher that number is the stiffer and denser the carpet will be. The denser it is the harder it will be to pack the carpet down. Be sure to know what the gauge of your carpet is. Carpet Resiliency: If you get new carpet and you notice that it seems to look packed down quickly the amount of resiliency is lacking. You want to have a carpet that has a good amount of resiliency so that it is able to stand up to the normal wear and tear. 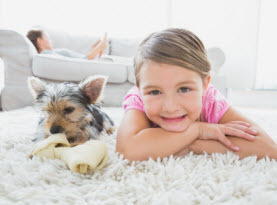 The amount of traffic that happens to your carpet will over time cause it to be packed down but you can prevent that if your carpet is dense and has a good amount of resiliency. 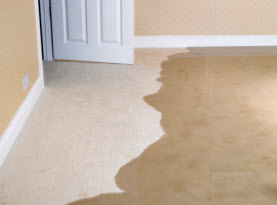 It is the ability that your carpet has to bounce back after use and pressure. 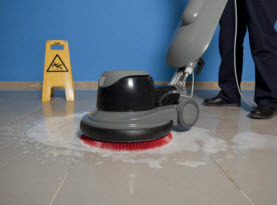 CA Carpet Cleaning & Water Damage Clean Up is able to come out to your house and clean your carpets. Call us today to make your appointment.